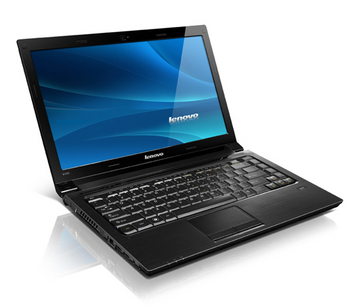 The Lenovo IdeaPad V460 represents a good value in the budget business notebook market. It has great build quality, stylish looks, and a good keyboard. Overall performance is very good for everyday applications. Decent speakers were a welcome surprise. The V460's main issue is its limited battery life; it struggles past the three hour mark. Business notebooks typically have four or more. Another issue is the fan, which is noticeable when it turns on. In the V460's case, the pros outweigh the cons. This notebook is recommendable to those looking for a better quality notebook under $1,000. Lenovo’s IdeaPad V460 is a bit of an outcast. It’s brethren are flashy consumer laptops, while it is trying to be a serious (small) business PC. It mostly succeeds as an SMB laptop, with the more robust chassis, strong feature set, and respectable data security software. As always there are compromises, which will leave most wanting more battery life and probably a bit lower price. When comparing the V460 to its more consumer relatives like the IdeaPad Y460 we reviewed, there is no question what a small business shopper should choose. The V460 offers a small handful of features that should be the minimum for anyone with serious needs out of their laptop PC, which any other IdeaPad is notably lacking.r those cross-shopping ThinkPads against this IdeaPad, you might notice the V460 and new ThinkPad Edge models have disturbingly similar feature sets. Both have HDMI output, the standard array of ports and processor options, no hardware security chip, and only some models get a fingerprint reader. The prices are also eerily similar, though the IdeaPads tend to get more discounts than the ThinkPad Edge models. As the consumer flavor of a business brand, IdeaPads have always seemed to have trouble finding any identity, typically settling somewhere awkward. That ends with the sleek, versatile V460, which successfully carries both the ThinkPad’s clean design and sensibility (that lovely keyboard) over to the IdeaPad marquee, with a dash of gaming performance thrown in for flavor, courtesy of the Nvidia GeForce 310M. The Lenovo IdeaPad V460 is an attractive notebook with a comfortable keyboard, snappy graphics performance, and strong security software. Unfortunately, its weak battery life poses a significant problem for business users who need to carry their notebook around the office and especially outside of one. 68.4%: Esta evaluación es mala. La mayoría de las portátiles son mejor evaluadas. Esta no es una recomendación para compra.